Interested in buying a home, and at the same time, receive financing from us for repairs to your home? We’ll first fund your purchase of the property, and then along with that loan, we’ll provide funds for the renovations to the property. You can perhaps make small repairs, to make the property livable, or make larger repairs like upgrading the interior, or even add-on to the property by bumping up, adding an addition, or digging out a basement. What ever repairs you do choose to make, our appraiser will make sure that the repairs are justified by what the future value of the property will be after construction is complete. We’ll recommend an FHA consultant who will assist you with developing a timeline for repairs and will work with your contractor of choice to establish a plan and milestones for funding. We will also vet your contractor to make sure they can be financially reliable. The two loan choices are the FHA 203k or Conventional Homestyle loan. The maximum you may borrow is $726,525, inclusive of the purchase price and repairs. 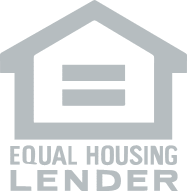 This type of loan does come with slightly higher costs and higher interest rates due to the added risk of our lending money for both purchasing a property as well as lending on a construction project. However should you do find yourself wanting a property that needs work, it could allow you an opportunity to purchase a property that you could only otherwise buy with cash. At First Home Mortgage we take our renovation loans seriously and have a whole department devoted to solely work on these loans so that the process may run incredibly smoothly. Please reach out to me should you be interested in financing for renovation!